Singer Asset Finance Company and its employees donate a variety of toys to support the U.S. Marine Corps Reserve Toys for Tots Program. Boca Raton, Florida – December 12, 2014 – Singer Asset Finance Company, L.L.C., which was founded in 1995, is a leading purchaser of structured settlement and annuity payments. 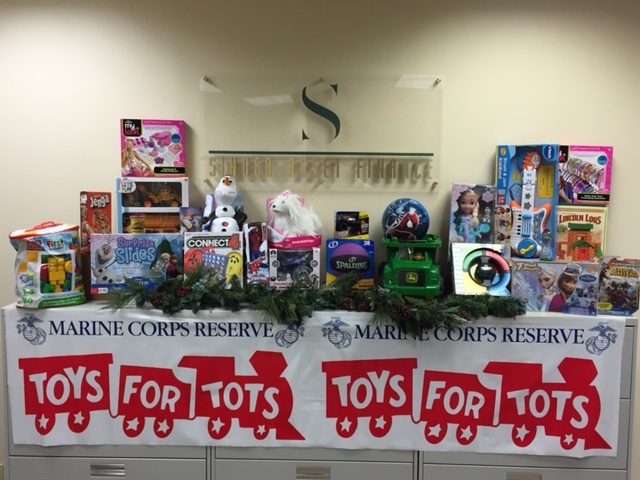 Singer Asset Finance Company and its employees supported the U.S. Marine Corps Reserve Toys for Tots Foundation by donating toys that will be given to children in need. 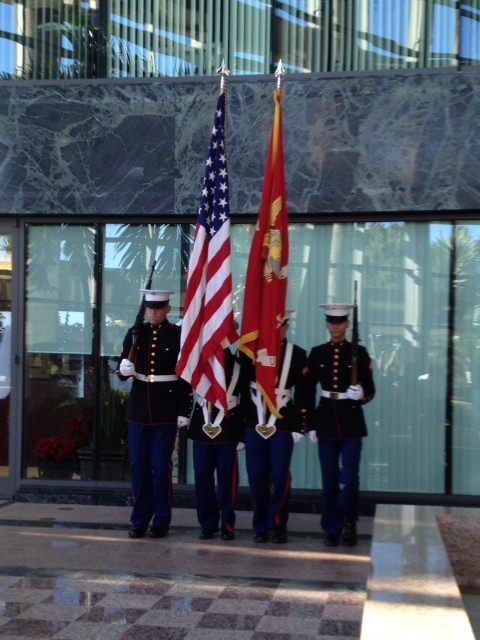 Members of the U.S. Marine Corps Color Guard visited One Boca Place on December 10th to collect donations. The mission of the program is to collect new, unwrapped toys each year and distribute those toys as gifts to less fortunate children in the community in which the campaign is conducted. The event included an observance of a moment of silence in honor of active duty military personnel who are unable to be with their families during the holidays so that we may be with ours. Singer Asset Finance donated a large variety of toys for boys and girls between the ages of 3 to 14. The donated toys included childhood favorite board games and toys with themes currently popular with youngsters, including superheroes and characters from Disney’s Frozen. “We are delighted to spread joy to youngsters during the holiday season by donating toys to children who are less fortunate” said Singer Asset Finance’s CEO, Howard Weinberger. Singer Asset Finance is an industry pioneer and national leader in converting structured settlements, lottery winnings, and annuities into lump sums. Since inception, Singer Asset Finance has purchased nearly $1 billion in future annuity payment streams. Singer Asset Finance is a founding board member of The National Association of Settlement Purchasers, the national trade association for companies who purchase structured settlement annuity payments. For more information about Singer Asset Finance please visit its website at http://www.singerasset.com or contact Howard Weinberger directly at (800) 670-6777.